Anemia is a condition characterized by a bodily insufficiency of red blood cells, hemoglobin, or a combination of the two. 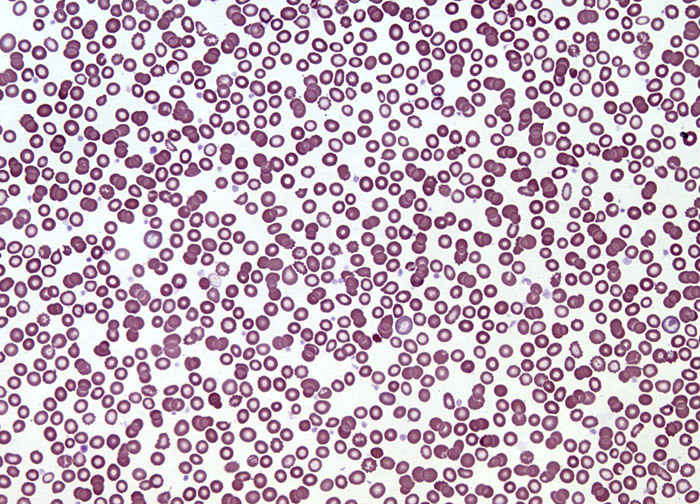 Many different types of anemia with a wide array of underlying causes have been identified, but the most common form of the disease is iron deficiency anemia. As suggested by its name, iron deficiency anemia is related to a paucity of the mineral iron, which the body requires to produce hemoglobin. The protein hemoglobin is the substance that enables red blood cells to carry oxygen. Without enough oxygen circulating in the body, symptoms such as extreme fatigue, pallor, weakness, lightheadedness, shortness of breath, and cold extremities may develop. Other possible signs of iron deficiency anemia include brittle nails, poor appetite, increased susceptibility to infection, headache, swelling and soreness of the tongue, and cracking of the sides of the mouth, though mild cases are sometimes asymptomatic.